NECKLACE - SARAH COVENTRY. 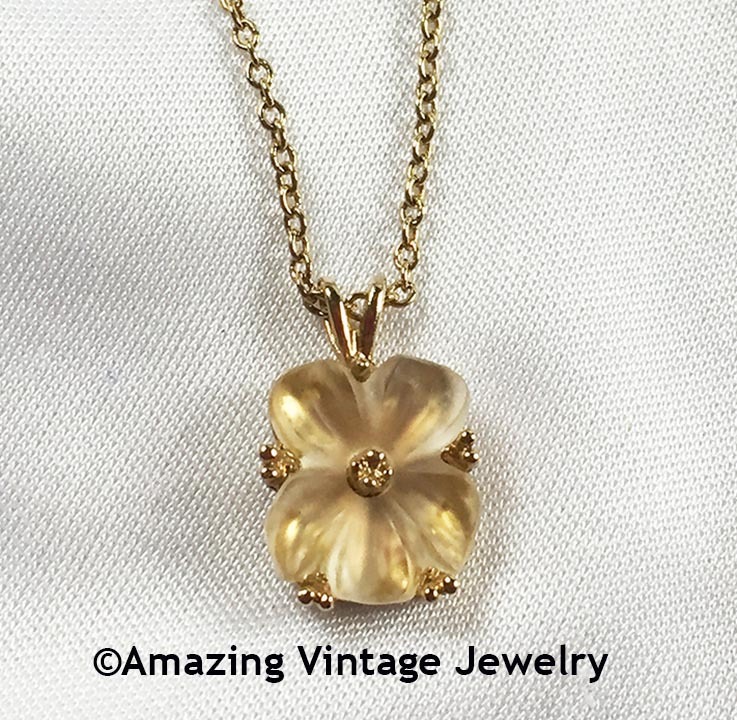 "WILDFLOWER" FROM 1983. 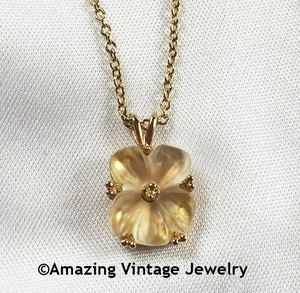 CRYSTAL FLOWER PETALS WITH A TINY CENTER RHINESTONE AND A FINE GOLDTONE CHAIN. PENDANT IS 11/16" LONG, 7/16" ACROSS. CHAIN IS 16". VERY GOOD CONDITION. RARE!